A friend of mine asked me the other day 'why I was so convinced that Nibiru Planet X exists' and I began to list off the reasons I believe it does. After I had listed around five off the top of my head, I wondered why I had never written an article giving the reasons. So after publishing around 100 articles on the subject I decided it was time to give my readers the Top Ten Reasons Why Nibiru Planet X Is Real, to me. The first one that comes to mind is that NASA announced to the World the presence of what they termed Planet X in 1983 on the fringes of our solar system. This story was covered on the front page of the Washington Post and New York Times, two of the most prestigious newspapers in the World. Soon afterwards, then President Ronald Reagan, made the subject part of the United States National Security mandate making it illegal for astronomers, scientist and institutions from talking about it publicly. He did this because he was convinced that the public would panic, if they knew that a large planetary body (four times the size of Earth) was entering our solar system, and could potentially cause global cataclysms on an epic scale. He convinced other nations to do the same and the subject soon became a big secret and only bits and pieces of information have leaked out ever since. The second piece of information that has helped to convince me is the plethora of stories, myths and legends from ancient civilizations the World over, that speak of a large planetary body that returns to our solar system on a regular basis (every 3,600 years) and causes global destruction in the form of great floods, volcanic eruptions and earthquakes. From the ancient Sumerians (cradle of civilization) to the Australian Aborigines and the Bible (Wormwood) these stories have remarkable similarities that cannot be a considered a coincidence. The Sumerians are the ones that named this planet Nibiru or 'planet of the crossing' in their language. Why I find this so convincing is that the Sumerians had discovered Pluto and included it in their models of our solar system and yet our current astronomers didn't discovered Pluto until 1930. The other reason I find it so convincing is that many of these civilizations had no link to each other and developed at different time periods and so one can logically conclude they stories originated independently from each other. A vast amount of information can be found regarding this from Zecheria Zitchin's Earth Chronicles books. In 1894 Percival Lowell a wealthy American businessman financed the building of the Lowell Observatory in Flagstaff, AZ. Part of the Lowell Observatory's original mandate was to specifically look for this mysterious planet, proving that America knew of its existence over 100 years ago. They searched the skies for over thirty years and thought they had found it in 1930 but it turned out to be what we call Pluto and determined it wasn't large enough to be Planet X. This compelling piece of evidence is not widely known or talked about but shows that certain groups within American society knew of this planet's existence and potential. The obvious, if rarely talked about, phenomenon of the increase in the Earth's Wobble observed by the public the world over must be included in the top five reasons for the sheer numbers of observations made by the public. A friend of mine in Australia began to notice that the Sun and the Moon were both rising and setting in odd positions in 2005. Since he is a farmer, this information is important to his livelihood and was easily recognizable. Because Nibiru Planet X has an unnatural orbit of our Sun, that is not on the normal galactic plane where all other 'normal' planets reside, and enters our solar system from the galactic south astronomers knew it would be seen more easily in the Southern Hemisphere. This is the reason so many large astronomical observatory's have been built in the Southern Hemisphere on our planet. The increase in the Earth's Wobble is also the reason for our extreme weather (changing the jet stream), increase in tectonic stress, increase in volcanic eruptions and melting Polar ice. The incredible numbers of photographs and videos of Second Sun sightings the World over is another piece of evidence that simple cannot be ignored. Now of course, because of the digital age of computer graphics many of these photographs and videos can and are easily faked or misidentified as lens flares, Sun Dogs, dust and other natural phenomenon but many are not. The ones that are not fakes do not last long on the internet and are removed, I know of at least a half dozen that no longer exist anywhere on the internet, so if they are fakes why censor them? The censorship of information pertaining to Nibiru Planet X is compelling in its own right but obviously difficult to to use as proof if it no longer is easily accessed by the public. I have had to delete at least a dozen links and videos from my articles after the removal of the more profound videos and photographs from the internet. One of the most compelling reasons that I think Nibiru Planet X exists, is the so-called 'secret' preparations the World's Government's have been conducting for almost fifty years. These preparations include but are not limited to the building underground cities, compounds and military installations the world over. Hoarding resources such as seeds, food, ammunition, weapons, water, gasoline and other necessities. In America, FEMA has constructed hundred's of ready made camps, all over the United States, that are well away from coastlines and that just sit empty waiting for . . . what exactly? In China, they have constructed huge 'ghost' cities in their vast interior (well away from coastal areas), that are being populated by rural inhabitants at gunpoint by the Chinese Military. This construction of camps and/or cities, hundreds of miles from coastal regions shows that they are anticipating the destruction and elimination of large populations of their own citizens. To have built these camps and cities, without revealing their purpose to their own citizens, shows that they are willing to sacrifice large portions of their own populace in order to keep the impending cataclysms a secret for as long as possible. The increase in extreme weather events, earthquakes, sinkholes, bridge collapses, train derailments, landslides, floods, rivers backing up and flooding, lakes drying up or overflowing, coastlines sinking, shipping accidents, natural gas and industrial explosions, volcanic eruptions, methane gas killing birds, fish and other animals, droughts and other unexplainable phenomenon should be enough to convince anyone that our planet is changing, drastically. All of these events have one common denominator, the increase in the Earth's Wobble, which can only be caused by another larger magnetic influence in our solar system. Now on the other hand all of these events can be more easily explained away and censored by the Fake Stream Media as natural events, limiting exposure to a wider audience and human negligence. This allows those in the know, what I call The Powers That Be (TPTB), of preventing the public from connecting the dots and seeing the bigger picture. However when you add them all up, you will logically conclude that not all of these events can be just a coincidence. The censorship of information concerning the increase of large earthquakes and volcanic eruptions is one of the most compelling reasons I have found that shows TPTB are trying desperately to limit public perception of the coming potential global cataclysms. In 2003 the United State Geological Society (USGS) lowered the earthquake rating system (Richter Scale) by one point, thus allowing them to convince the public that large earthquakes were not on the rise. This shows the USGS duplicity in the matter and people may have noticed that almost every major earthquake in the last ten years is immediately downgraded by this institution, this shows a pattern of deceit in my opinion. Volcanic eruptions are a little more difficult to limit in terms of public perception but what many people do not know is that it is estimated that over 3 million fissures, volcanoes and magma flows litter the oceans floors the World over, with as many as 3,000 on the surface. One major volcanic eruption can pour more carbon dioxide and other poisonous gas and pollution into our atmosphere in one day than all of the manmade pollution we have released into the atmosphere in the last one hundred years. Now, consider how this would affect the environment when multiple volcanoes are erupting all over the World at the same time and you have a recipe for disaster that could well lead to a mass extinction level event (ELE). Many believe the Comet Elenin was so named as a warning to global elitists that Nibiru had arrived in our solar system, and that it is an acronym for Extinction Level Event Nibiru Is Near. The vast amount of prophecies and other channeled information of doomsday scenarios should not be overlooked when considering the veracity of Nibiru Planet X, after all much of this information comes from the Bible, which millions of people believe is an accurate description of our history and the word of God. When we consider that the Ten Commandments and many other stories in the Bible and other texts such as the Kaballah are channeled information from a higher power or source, then how can we dismiss New Age channeling out of hand. You can't believe in one form of channeling and then dismiss another simple because it wasn't included in the Bible or came afterwards. We all know that the Bible was written over five generations (300 years) after the supposed death of Jesus, by human author's. Without getting into a discussion of the veracity of any religious text, there are numerous books about past life regressions, channeled information and Alien messages that show that the planet Earth has undergone past Polar Shifts. These stories are confirmed in the Bible by the story of Noah and his Ark, which by the way, is a new movie starring Russell Crowe. Which leads me to another point, that all of the too numerous to name movies in recent years depicting doomsday scenarios cannot be considered a mere coincidence. Are these movies not, in their own fashion, a form of prophetic doomsday scenarios? Couldn't all of the thousands if not millions of UFO sightings the World over be a warning that Alien life is here now for a purpose that goes well beyond just curiosity? When one considers, reads and researches this vast amount of material from Aliens and UFOs to channeled information and Nostradamus and Edgar Cayce prophecies it becomes difficult to so easily dismiss. Mainly because the scenarios are so eerily similar in scope and description. Last and in my opinion least, is the overwhelming so-called 'scientific' evidence, that Polar Shifts have happened in Earth's past. From a geological standpoint the evidence is certainly overwhelming and has been confirmed over and over again, even though it has not been widely recognized by the public. I could list dozens of research papers, scientific inquiries and studies that show that the Earth has had past Polar Shifts, I don't think anyone is claiming this is not true. However what I find suspect is the reasons many 'scientist ' have for these Polar Shifts, which simple don't add up or work in my opinion. The reasons for my skepticism is that far too many 'scientist' are paid and supported by government grants to publish conclusions on what the government wants the public to know and so the evidence is shaped to fit the theory, concept or idea. Astronomers are also, mostly paid through government grants or work for NASA and other agencies tied to government research institutions and can be held to the National Security mandate, instituted by Reagan. When your livelihood is linked directly to an agency or group that wants certain information withheld from the public, you will lie, falsify documents and create new theories and ideas to back their claims, this is simply human nature and should not be judged. If recognized by the public the incredibly high number of astronomers that have died mysterious deaths in the last twenty years, might lead them to conclude it is one of the most dangerous jobs in the World. While I have researched this topic in depth for the last forty years, these are just the Top Ten Reasons Nibiru Planet X Is Real from the top of my head. I could and have listed far more reasons this subject is all too real for me but suffice to say this information can be found on the internet with just a little research, in numerous books published in the last 100 years and videos and movies, for those that don't like to read. Yes, the evidence indicates that it is. No, it is just an elaborate hoax. Two other interesting stories in the recent news show even more evidence that Nibiru Planet X is here. One was the the three separate asteroids that buzzed the Earth in near misses in just two days time. This shows that the Earth is now beginning to pass through the massive debris tail of Nibiru Planet X, that was described by the ancients, as the tail of the Great Red Dragon. What is known about Nibiru is that it is surrounded by a huge million mile iron ore cloud of dust particles and asteroids that as Earth draws near are attracted by our magnetic filed and pulled into our atmosphere. This explains the ancient stories of red dust falling from the heavens and fireballs raining from the sky. The other story that caught my eye was of the ancient forests being revealed off the coast of Maine in the U.S. and the United Kingdom and Ireland. These forest revealed from very low tides and raising of the ocean bottoms, show that land and coastlines have changed dramatically in just the recent past history of our Earth. While neither story offers undeniable proof, they and my Top Ten Reasons Nibiru Planet X Is Real show that when you compile all of the evidence together they provide a convincing argument that Nibiru Planet X and the Polar Shift are real. If it is just an elaborate hoax designed to spread fear throughout the World, it is a doozy. I just don't see how it could be but in an effort to keep an open mind about all subjects, perhaps I'm wrong, it wouldn't be the first time. Another possibility is that it is here but that the Council of Worlds, a group of benign Aliens that enforce Universal Law in the part of the Galaxy, are manipulating its orbit around our Sun as a means of limiting the damage to the planet as they prepare humanity for ascension to the next evolutionary stage of our spiritual development. Thus, by delaying its passage through our solar system, it gives us on the planet the opportunity to decide our spiritual orientation as either in Service to Others (STO) or Service to Self (STS), enabling the Council which humans to help ascend and which humans to leave behind. Of course the big detractor to my hypothesis is that it can't be seen with the naked eye, yet and because of humanities propensity not to believe anything they can't see with their own eyes, then most folks have a difficult time believing it is here. However this shouldn't stop us from recognizing how it is effecting the Earth. Many people are also under the false assumption that a secret this big just couldn't be kept for so long and that their Government's would let them know if it were here out of the goodness of their hearts. Which leads to the question of how you could possible prepare close to 7 Billion people for planet wide destruction that no one has any control over. The answer, of course is that you can't and that the only really safe place would be off the planet in orbit. Not even underground cities and military bases could ensure your survival, nor could a submarine such as the ones used in the movie 2012. Based on my research from ancient texts, stories and recently discovered geological data, I would have to say the times we are currently living in would coincide with a 3,600 year orbit of a planet that causes global flooding and earthquakes on the planet Earth. This based on the many recent stories in the news that show the Earth experienced great flooding in the past. Understanding my Top Ten Reasons Nibiru Planet X Is Real may help my readers to understand the interest I have in the Polar Shift and why I seek to find answers to it. It really was sparked by my fascination in ancient cultures and civilizations on our planet. I believe that these cultures left many clues as a warning to future generations and this is how The Powers That Be knew when and where to look for Nibiru Planet X.
Hello to everybody from Slovenia in Europe (country between Italy and Hungary). Here is similar as on other parts in the world: officially is everything good. We have also public service (agency for environment - department of meteorology) which never says anything about pole shift, nibiru and also chemtrails and haarp. But I personally and also many people I talk to them know that mainstream media (we have state tv and radio station but also some commercial tv and radio stations) something hide from us. People (who does not have knowledge about scientific astronomy) observe strange - not correct location of sun by sunrise and sunset. I also checked this personally by help of compass and difference according to expecterd position is too big. Also here in Slovenia we observe strange pink colour of sky in time of sunrise and sunset especially when is cloudy. Also for me is not normal. But our Slovenian meteorologists say completely nothing about it. So: what is official is correct and what not is only imagination for so called official experts. 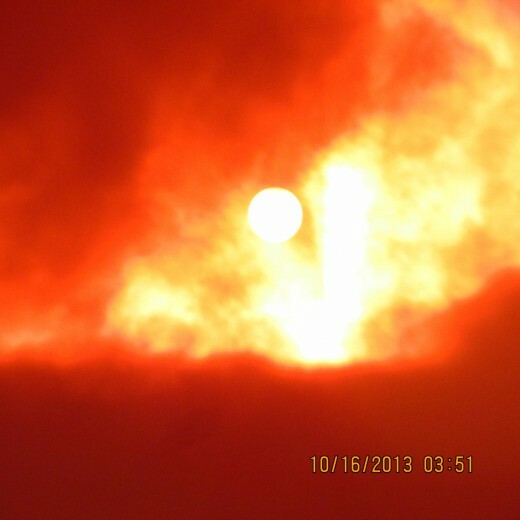 I would like that this story about pole shift and nibiru it would be a hoax but in this moment looks different. I have really bad feeling about it. Perhaps Linda you would be so kind to enlighten us, until then we can only use the information supplied to us, thanks for stopping by. I'm so tired of people citing the 1980's NASA announcement of a heavenly body as proof of anything. The people at NASA aren't idiots...they don't release anything they don't want the public to hear. Is it possible they were laying the ground work for the Nibiru/planet x disinformation campaign? The ancient Egyptians made a point of stating that the Destroyer, as they called it, was not a planet, but a smoldering body of flame. More proof that the object isn't a planet...Sitchin was a 33rd degree Freemason and he out right lied about the Sumerians texts, telling us of a planet called Nibiru. As long as you and others continue to call this object a planet, you will only support the disinformation campaign. Try five!! I just got struck down while attempting to post several times... Malware storms can be intense and malware blockers just can't seem to keep up. On one day, some 93 pieces of malware got through despite blocks and screwed things up royally. There is a concerted effort to do two things. 1. to control and censor free speech. 2. To force you to break out your wallet and spend, spend, spend until you budget gets sucked into a black hole and disappears from the visible cosmos. This is getting tiresome in the extreme and makes using hubpages almost impossible. I have to resort to some fairly arcane techniques to keep this site up. Now I beginning to see why my internet connections seem to be going haywire and instinctively knew it had to be something along those lines. Round one failed due to a malware induced crash. But from what I'm hearing these days, this could well be the last moments of an open and free net. Several large companies are going black, that is shutting down for Friday. 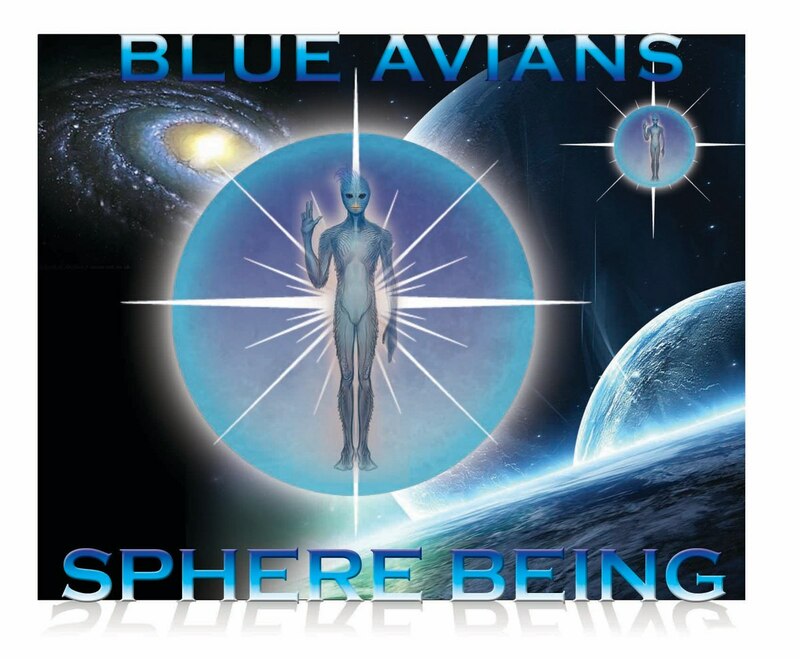 @ somethgblue: syzygy is an astronomical alignment, such as the moon occulting (hiding) Venus. Astro should be self explanatory. A long line of coincidences point to a conspiracy. I will now attempt to dodge the malware bullets to read your article on the Deepwater Horizon incident. Take me home countries roads . . . we must be on the same schedule, the Sun is bright today. Syzgyastro (sometime you're going to have to explain that name) you should read my article on the Deepwater explosion, it's a doozy, if rather lengthy. The amount of coincidences involved is shocking to say the least. Lady G. I think you're referring to a time in the 1800s where the seasons seemed to reverse, they called it the little ice age, may have to write an article about that. I meant the summer when they called it winter when the crops would not grow because it was too cold. Deepwater Horizon as you know, did not have to happen except for the fact that costs were cut with insufficient blowout protectors. There is a video of an oil fire right at the point where the blowout failed; underwater! We may not be able to do a thing about natural disasters, but we sure can do something about ones of our own doing. Isn't it time for a rethink? Read my Deepwater Horizon Oil Spill article for the disaster in the Gulf of Mexico and let's not forget the Sumatra (2005) or the Fukushima (2011) tsunami's. I do remember went they blew up the oil pipelines. How about the Valeze Oil Spill, we are STILL cleaning up after and then the newer one the was in the Gulf, that we are still cleaning up after. The thing is about predictions, is they can go amiss because something new will come along that we haven't known of before then. I remember the time when Russia was going to blow this planet up many years ago and that spawned research and development and finally the end product of Underground bunkers. BUT did it happen....nope. We were scared for our very lives back then and I was a child. Thanks for telling me of the right continent..Iceland. Yes it was mild but we survived as we did the one back when they had that winter where the crops wouldn't grow. Then again we now have other thigs that we grow plants in and year round and we have shipping and trade and we didn't have all the back then. There are new things abound that we do not even know exists yet. Lots of things that we are doing the will come to fruition in the near future. So much good stuff that the doomsayers are clouding our views from. When we begin to have positive hearts and thoughts we will change our future and that is a fact. When you think of all the doom, you will bring that to you. Good things do not readily bring in the "MONEY" in the media as much as doom and gloom. That is a fact. That volcano was in Iceland and it stopped air traffic around Europe for a month at least due to the abrasive ash. That volcanic winter was milder than the one triggered by human activity in Kuwait in 1991 when 500 oil wells burned out of control for a year. Global temperatures dropped for several years after that. At the site where temperatures average 42 degrees Celsius just about any day of the year, the temperature under the blackened skies was below freezing, attesting at once to the power of the sun and what can happen when that is cut off for even a brief time. The post that I made a few days back that is so cumbersome was the result of malware that nixed my edit and allowed the first draft. The edited version was lost in the malware storm. I apologize for any typos and ultra long paragraphs as a result. I realize that most people aren't turned on by wordy material, but then again, I'm old school and don't mind long paragraphs. I will endeavour to take a clue and apply it with thanks to you. I am excited by all the new finds, especially of an earth sized planet in the habitable zone in a nearby stellar system. I am also one of those sky watchers who look for signs in the sun, moon and stars and by that I mean, what that could portend by way of a fateful encounter. There is now a known direct link between the sun and earth by the magnetic field of both bodies. What happens on the sun affects us in ways we don't even see. The earth is littered with the remnants of ancient civilizations of such a power that we cannot duplicate their productions, such as massive obelisks and metals that we have only recently begun to know how to smelt. All and all, it is a very interesting place and the historians leave far too much out of the picture and we are not the better for it. Well you should read my hub on my latest alien experience then. You will see what they are doing and why they are doing it. The abductions aren't lies, they're real however the reasons for them are still unknown and just conjecture at this point. The Polar Shift is real as well but it hasn't happened . . . yet, we are only in the beginning stages of it. It will happen in our lifetimes I suspect within the next two years, we are building up to it. However admitting to it would mean revealing the Alien presence around and on our planet, which The Powers That Be are unwilling to do as it would mean a complete loss of control over humanity. The Council of Worlds is obviously manipulating events in our solar system and on our planet as well as what information is being released, including but not limited too what UFOs are seen and when they are seen. I feel that the incredible speeds attributed to UFOs are simple the craft moving in and out of our dimension. They seem to disappear but are really just moving into another dimension and reappearing in a different location. Our three dimensional perspective creates the impression they are moving at incredible speeds because we do not have the ability to comprehend what is really happening. The Polar Shift is designed as the ultimate spiritual experience and will be our final exam before graduation. I am enjoying this dialogue too. No fights and name calling. What a difference intelligence or the wanting to gain such is here. So the thought of all those who have been abducted are lies, as you believe, syzygyastro I do not believe that at all, from a personal perspective. I have seen the older shows on the History Channel (and yes I have been told that all that is lies too) that shows that UFO's had stopped many missiles from ever engaging other peoples or countries. Everything cannot be a lie or made-up. There is way too much information out there now for that to be true. There have been more volcanic winters and we were in one a few years ago with the one that exploded in Norway or Swicherland? I don't remember which country it was but it stopped all air traffic around the area for a few months. We survived! We have become more adaptable to various weather changes and other things that has been thrown at us. We are not even supposed to be here from many studies of Global Warming and the like, yet we are. Yeah I don't completely buy into all of Lloyd's ideas and timeline but I do accept the Neanderthal theory. 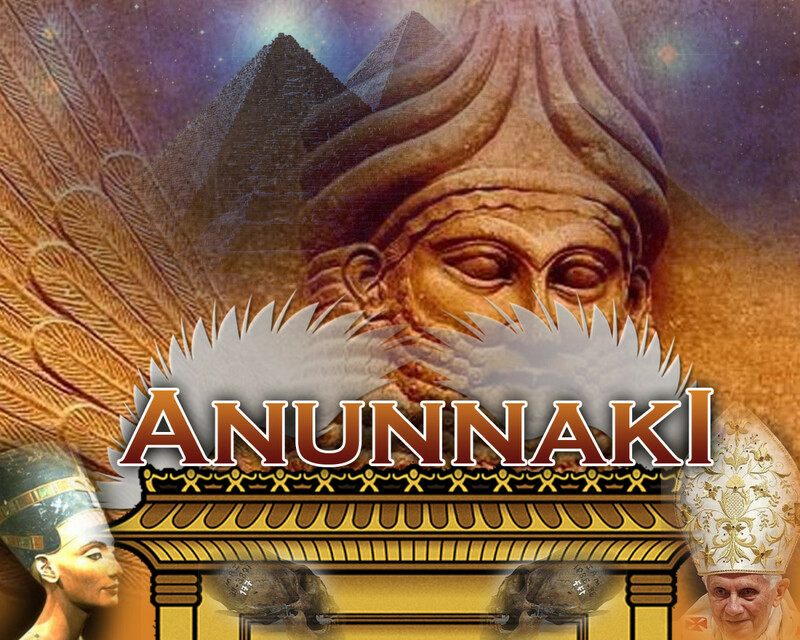 If you read The Lost Book of Enki, you will understand that the Annunaki coming to Earth was almost an accident but really their only alternative as they simply did not have the technology to mine asteroids. Remember that they didn't put a base on the Moon because they didn't think that environment would be cost effective for them, which would the same for any asteroid or comet. They have since gained that technology and is one of the reasons they left, as the Earth became too much trouble. However having never created a slave species before their initial attempts met with failure for virtually 200,000 years before they got it right and I dare say they had some help from the Creator of All as they themselves explain in the clay tablets. They fully admit that there were circumstances with our creation that they couldn't grasp and for all practical purposes it shouldn't have worked the way it did. That is why they change their thinking about our creation from thinking they were controlling the experiment to merely being pawns by a 'Higher Power'. They basically admit that humanity should not have moved beyond the clone stage and become sentient beings and couldn't understand how it happened unless the Creator of All stepped in and altered our destiny. Consider that one of Enki's fears was that humanity would be doomed to repeat the mistakes his people made such as nuclear armageddon and the almost complete destruction of their atmosphere by these wars. One must remember why the Annunaki came to Earth in the first place was to find gold to repair their atmosphere which had been torn open by nuclear wars that lasted thousands of our years. So eventually they did get intelligent and evolve into a peaceful civilization but much like us had some difficult lessons to learn first. I am really enjoying this dialogue, thank you for the paragraphs! So, the earth is an investment. With the elite today, that is certainly true and they are attempting to privatize everything. As an alien outpost who has invested in whatever they conceive for this place, that would make life their plaything and humanity their slaves. I have run into this theory before, one case made by Lloyd Pye whose timeline and source information for humanity does not differ that much from Sitchen's ideas. I don't fully accept his (Lloyd Pye) ideas either. He makes the case that humanity was a rush job with all the genetic mistakes, to act as slaves to extract resources. The reason I object to his idea is that aliens smart enough to terriform planets are also smart enough to mine asteroids and comets for everything they need at far less expenditure of energy than to get someone else to terriform something as large as earth for their needs. They would also be smart enough to live happily in the environment of deep space or near earth without being on it except to visit and observe. The earth is going through a magnetic shift right now and this is speeding up. As the magnetic moment decouples between the inner and outer parts of the planet, this is a time of sensitivity to a physical pole shift; an entirely different kettle of fish, so to speak. The earth is in a state of imbalance as evidenced by the Chandler wobble, especially after the 2004 boxing day earthquake and the March 11, 2010 earthquake. The physical pole shifted by about 10 cm in one case. But of course, there are far larger shifts as well and we are looking at one as a distinct possibility for the short term rather than the long. The earth has been through at least four major cataclysms since the physical pole shift of 12,600 years ago. That shift left unmistakable signs all over the earth. Since then there have been two more floods and a major volcanic winter. The last one changed history in 535-36 AD. I have said it before and emphasize again; UFOs are largely man made. This of course does not rule out intelligent life from outside earth. I'm just saying that all those sightings that cannot be attributed to weather balloons, lenticular clouds, earth lights and such are almost all man made. There are a few intriguing ones that have all the appearance of being alien in origin, such as one high quality video of aliens exploring a field, entering their craft and taking off at high speed and then vanishing into thin air. No, I do not think it was photo manipulated and consider it one of the best ever captures of an alien visitation caught by amateur videographers. Stories abound throughout history of visitations by what has been called angels, demons and the like from every part of the globe. Ezekiel describes something that has been interpreted as a space vehicle. Then there are the accounts in the Vedas of flying machines and nuclear war. I have copies of the Vedas including the vimana texts and have read much of the Vedas. The translation into English is abominable in some cases, making the text difficult to understand. History abounds with accounts and ruins of underground tunnel networks going back to at least Egyptian times. Everywhere you care to explore, there are underground man made tunnels and rooms. why should DUMBs be an exception. I know someone who tells me that there are two in Canada alone and he has been deep underground (two km) to see them for himself. There are literally weeks of footage of explorations of older systems such as built by the Nazis and the Russians. I have to disagree with that time period. The UFO or other Aliens will not let that happen. They have way too much invested it that. Oh no, the Polar Shift will be a HUGE event that will literally destroy almost all life (as we know it) on this planet, think Noah's flood. Many signs are showing us that it is coming in our future and may happen within a couple of years. I thought the polar shift already happened. At least that was what all the hulubalu was about a few years ago. That was the magnetic shift that I am talking about. Lady G, he is not denying they exist just that they will not help in a Polar Shift and I agree. syzygyastro Military bases underground are real. Other housing underground is real. Bunkers that are supposed to sustain a nuclear explosion is real. Tunnels from those bunkers and military bases that are much deeper that anyone knows is real. We have not polluted the entire planet and get off with that stuff. Get out of your box and look at the real stuff, not grafts and tables and research you do not know first hand. If you want me to read all that at least have the common courtesy to break it up into smaller paragraphs, that middle one is just too long with no breaks and all runs together. Here is the thing you should consider, a Polar Shift will wipe the slate clean and isn't about survival but getting rid of the entire infrastructure. The only safe location is space, which is how the Annunaki survived the shift 200,000 years ago. Obviously (based on the Noah's Ark stories) a handful of humans did survive in a submarine type craft and possible other groups located in high altitude regions. The point is that this Polar Shift is being allowed to happen so that the entire Earth will get rebooted. My research indicates that a select few humans will be moved off world and returned when the planet is habitable, possibly a large mother ship, Hollow Earth or another suitable planet. However the lessons of self polluting must be learned first without the complete destruction of the planet, that is why all of the events listed above (by you) have been allowed to happen, so that we may learn these lessons. We already are the agents of our own undoing by not working with the Hollow Earth leaders (Keepers of the Garden) and Alien civilizations that came here in plenty of time to work things out in our favor. Remember the Roswell Incident (1947) much like the invention of the printing press (1450) and other tide turning events in our history occurred with plenty of time to get things turned around while offering humanity a chance to educate the masses. These events were not 'accidents' or chance but calculated by EBEs to give humanity a reasonable chance to get things done on their own. We have to recognize that free will is imperative, that they will only intercede when things have gone beyond the point of affecting a favorable outcome for the masses. I'm all for constructive dialogue but notice how I have broken my points up into readable paragraphs and simple sentences, please do the same. It is clear to me that the Council of Worlds are controlling the release of information on this planet while preventing The Powers That Be from leaving en masse or finding a safe place. As you point out DUMBs are not the answer and although Africa may well receive little damage as has happened in the past, we are not privy to the Council of Worlds strategies. I know the Polar Shift is a reality and believe nothing, I either know or don't know and am ok with that. I have no need of proving anything. Apparently your diatribes are long too! But this is the nature of dialogue, or so it should be if we could get past the Delphi method of discrediting others who we don't know. I accept the pole shift idea as a geological fact that can be substantiated and am currently working out the probable direction and extent of the next one based on global imbalances. An outside trigger would cinch it. But, anyone who survived that onslaught would go through hell for a century afterwords. I suppose some would be prepared and escape the very worst of it. However, the idea of Deep Underground Military Bases (DUMB) is as the acronym suggests. That is because when the poles shift, the landscape all over the planet is altered with some regions being compressed and others been torn apart. There is thus no safety underground. Nor is there safety on the high seas due to the megatsunamis created along with gigantic rogue waves and solitons. The only safe places would be the two points of pivot on the earth and in space. Depleted uranium is no joking matter and the use thereof anywhere for any reason is both a crime against humanity and nature. DU, constituting what is left over after centrifuging out the bomb grade stuff, is radioactive itself with a half life of about 4 billion years. It is made into armour piercing projectiles and vaporizes on impact and penetration into tanks and APCs. The vapour is then carried by the prevailing winds to settle everywhere. People who live in the area of the us of DU suffer from abnormal cancer rates and give birth to severely deformed children. These are the same kinds of results that one sees after a detonation of an A bomb, H bomb or N bomb. It is a moot point as to whether we can accept a fast or a slower version or radiological effects. True; there were only two detonations over Japan. However, let us not forget the several hundred atmospheric tests conducted at Christmas Island and Enewotek as well as in Nevada, Alaska and in Russian territories before the test ban treaty. Nearly a hundred tests were conducted in the stratosphere, ionosphere or near earth space. During the atmospheric test period, American soldiers were deliberately exposed to atomic detonations in Nevada. In one army film they are seen running toward the mushroom cloud. Nevada is still a test site today, but the tests are now all underground. Even here there are radiation leaks when the atomic blast escapes out the borehole. I own an extensive collection of many of the declassified US atomic shots as they are called. There is even one where they goofed up at Enewatok where the shot was placed too close to the observation bunker. If you Google earth search out Enewatok and Christmas island, you can actually find a few craters left over from the shots. Hiroshima and Nagasaki were just two of several hundred atmospheric detonations. As a child, I and everyone else in school followed the radiation clouds as described in the news as the circled the globe after major shots, like the H-bomb test in 52 and Tsar Bomba, the biggest shot ever fired.Underground tests are not funny either, such as the 5 megaton shot underground in the Aleutian islands close to Russian territory. That one created the largest man-made earthquake (7.6 R) to date and a small tsunami. N. Korea and China are not signatories to the test ban and still conduct atmospheric tests to this day. So you see, even though cities are not being bombed, there is still plenty of mischief going on. Radioactive fallout recognizes no artificial boundaries called countries. We should have learned that from Fukushima at least, but apparently, we are still playing with some of the most dangerous stuff there is. So, if aliens are protecting us from ourselves, they are either absent and possibly watching our collective foolishness from a safe distance, or, they are doing a very poor job. Today, we are living in an increasingly ruined planet with all of our polluting ways, both in military industrial activities and in our ramped up consumerism that apparently on the face of the evidence, does not give a damn. The race is on! Will it be death by Nibiru or Nemesis or will we be the harbinger of our own destruction by "unterraforming" the earth, turning it into a lifeless wasteland. Is suspect that we will be the agents of our own undoing. Your diatribe is a reflection of your ego, which I would say is enormous. You say NASA 'is also hard at work', I say that dog don't hunt. You base all of your supposition on propaganda fed to the sheep as fact, sorry both the Oort cloud and the Kuiper Belt are theories, not facts. The only thing I can conclude is that you must 'think' you are the only person that has ever read or researched anything, which is why you write these incredibly long comments. For humans to understand the utter destruction of nuclear weapons they must first learn the lesson, hence both bombs were allowed to detonate in Japan. I find it interesting that you don't mention the Port of Chicago incident . . . perhaps you're not as knowledgeable as you 'think' you are. Since Japan no large detonations have occurred that have caused massive death to humans, sure ammunition tipped uranium was used in Iraq but the nuclear arsenal as far as missiles have not been allowed to function. The Vedas material was written based on information left behind by the Annunaki, they didn't just teach Sumer, they advanced civilization in the Americas (both North and South), India, Europe, what is now Russia, basically the whole world, after all they were here for over 350,000 years plenty of time to make a few trips to all parts of the globe. Zitchin spent his entire life learning to translate Sumerian clay tablets, Velikovsky and Hapgood did not and yet they are reliable. Because the establishment (Powers That Be) coerced a 'supposed' deathbed confession then Zitchin is a money maker while all other authors on the subject are reliable and just giving their books away for free . . . HELLO ANYBODY HOME? Geneticists have traced mitochondrial DNA (human family tree) back to about 190,000 to 200,000 years old which just so happens to support Zitchin's research of the Annunaki creating us 'theory' which holds a lot more water than us evolving from Neanderthal Man. The term UFO is 'unidentified flying object' which means its place of origin cannot be determined, does America have them sure, however they could just as easily come from the Hollow Earth civilization, the Moon or be inter-dimensional. To this day no one has offered a reasonable explanation for why NASA would release information to the public and the press describing the discovery of a large planet on the fringes of our solar system using the IRIS space telescope back in 1983. They even gave it a name 'Planet X' said it was coming our way and would be here in a few years, then just as quickly backed off from that statement. Censorship and disinformation works with all subjects and perhaps we have the same knowledge but just accept different premises as the truth. I for one 'believe' nothing, question everything and only accept as the truth what my heart/soul is willing to reveal as truth to my conscious mind. Even the word Believe is a deception, it is two words, BE describing the existence of a person or thing and LIE which is a deception or falsehood added together form the word BELIE which is to disguise the truth, add the suffix VE which is the state of and you have the word BELIEVE which is to accept the existence of a lie or false information from an outside source. So I do not believe, I either know or don't know . . . and I know Nibiru Planet X is in our solar system and will cause a polar shift on Earth within the next five years. Just because Zacharia Zitchen wrote a book on the 12th Planet and the Lost Book of Enki, does not make him the absolute authority on anything other than a money maker. I put more stock on something well researched and well grounded than something that is speculative at best. I never said that Nibiru does not exist, I don't know beyond the fact of rogue planets near our solar system. I merely question all sources. As for being overly sensitive, well, demonization is the first step to persecuting someone to mark them as a target for elimination. This sort of thing happened to many great leaders. Wasn't Jesus accused of being an agent of the devil? Ultimately, he was tried and executed for sedition by the Romans. Gandhi was hated by the British and the Muslims, both of whom demonized him before having him assassinated. I'm not sure if the Brits were in any way involved with the Muslim man who assassinated Gandhi, but I would not be surprised. Whole peoples are demonized and then put to genocide. Do not make epithets so lightly. Sometimes there is even a blow-back. Enoch, 7th generation of Adam also wrote a book that has been kept from the public. It describes the cosmos in the manner in which he was familiar and apparently from the vantage point of space. Interestingly, he describes the solar year as 360 days. There may be a clue to orbital changes for the earth there as Earth and Venus have a curious relationship that can create interesting results. On the topic of censorship, the mainstream media now heavily filters all news as schools filter and control knowledge. Few people know what is going on in the world outside of Hollywood scandals and sports information. Then there is the censorship of real history. All the Americas were founded on genocide and hostile takeover of all territories by invading Europeans. To top it off, they took peoples by the millions from various parts of the world (mostly Africa) and made them slaves to run the economy of the new nations and then categorized them as sub-human. Where have we heard that before in popularized history? It was in Nazi Germany that called Jews sub-human and them proceeded in an attempt to wipe all of them off the planet. Tragically, the Jews in Israel took the wrong lesson from the holocaust and are now perpetrating one of their own holocausts. As for aliens stopping a nuclear Armageddon; I put it too you that they are doing a poor job in light of the depleted uranium used in various theatres of war, such as in Iraq, Libya and possibly others, the nuking of Hiroshima and Nagasaki and the use of a nuke bunker buster in Damascus in May of 2013. The last is an idea also supported by the knowledge of veterans who know about nuclear war and analysed the detonation of May 5th, 2013. Almost all bona fide UFOs are domestic, that is, made here on earth, not reversed engineered from alien craft, but from experiments that began in 1929 and worked out by trial and error. By now the art is very sophisticated and there are at least 6.500 patents in the US archives alone on the art and technology of alternative means of aerial propulsion and space travel. It is reported that some of that knowledge was derived from ancient sources, such as the vimana texts of the Vedas in India that are known to be 5,500 years old. Some of these texts give detailed descriptions on how to build and fly vimanas. The existence of extra solar planets is now an accepted fact, whether associated with stars or not. One recent find is of an earth sized planet in the habitable zone just 13 light years away. Astronomers are now attempting to determine the nature of its atmosphere. NASA is also hard at work to develop new types of propulsion in a bid to reach some of these newly discovered worlds. Who knows, they might just stumble upon a Nibiru or Nemesis (the other name) planet in the outer reaches of our own solar system. It is known that some unseen object unaccountably slowed both Voyager craft that are now approaching the edge of the Oort cloud and the sun's influence. There is plenty of telltale evidence of something lurking in the Kuiper Belt, but as far as has been revealed to popular consumption, no actual photo or orbital elements of any large object. Perhaps it is censored; I would not be surprised on account of all the other censures, or perhaps it is just that they don't have anything solid yet, besides all the tell tale evidence. I keep sharing this for you. Maybe, even if one person, wakes up then I have tried my best. You are so right Lady G. the Council of Worlds are here specifically to keep The Powers That Be from starting WW III and even though they keep stopping us TPTB keep trying. 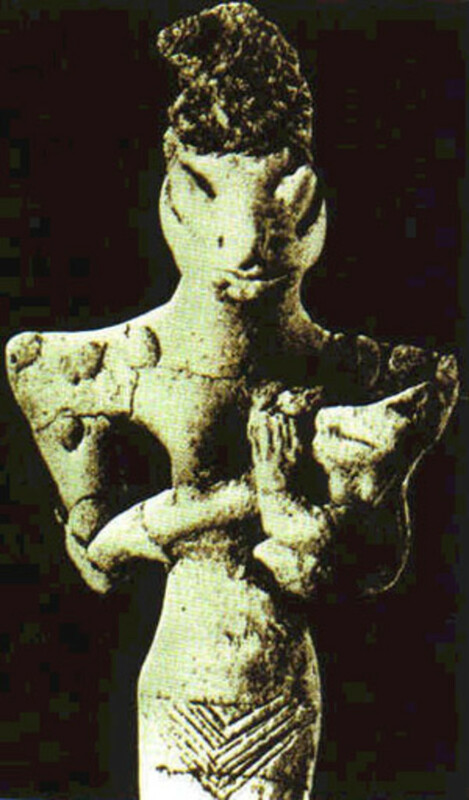 Most people 'think' that ancient his-story has been lost but what they don't get is that TPTB know our true origins but keep it from the public. Anytime a book comes out that reveals parts of our history it gets censored, they have prevented us from making contact with Alien cultures, revealing the truth about UFOs, using free energy (Tesla) or even finding out our true spiritual nature. They kill all the peaceful leaders Gandhi, Jesus and JFK and poison our water and food but still humanity doesn't wake up to the fact that they have enslaved us through ignorance. I know what you mean but them not allowing us to blow ourselves up. Funny how I was watching a program the other night about UFO's an how they are messing with our military. The video showed that one of the UFO's took off the top half of a missile and the reporter or whomever was narrating the show told us that they are the bad ones that will not let us defend ourselves. It was CLEAR to me that the UFO's did NOT want us to blow anybody up, in self defense or not. WOW, are we a little sensitive or what? Tito, hand me a tissue. Does it really take over a thousands words to tell me you find the word grasshopper offensive? Boo, Hoo. I've read Hapgood and Velikovsky and own their books, but perhaps the one you need to read is the Lost Book of Enki, by Zitchin describing the Annunaki's reason for coming to Earth, their need to do so and what transpired while they were here. There are many references through our 'his-story' that detail NIbiru's presence and even the geological records back this however when that kind of data is routinely censored from public consumption, then relying on it becomes problematic at best. Heck the Brontosaurus, which for over a century has been a part of every school kids education is admittedly not a real creature but a compilation of other dinosaur bones and is even displayed in the Smithsonian as real, so let's get real grasshopper . . . they have been lying to us for thousands of years about our own origins, why wouldn't they keep Nibiru a secret as well? I acknowledge that there has been a heavy cloak of censorship toward the mass of humanity since time immemorial. I happen to believe with plenty of evidence to back it up that there was at least one advanced civilization on the earth prior to 12,660 years ago, plus or minus 20 years that suffered a cataclysmic demise. There is increasing proof of that! There are many ways something as fragile as civilization can come to demise, including it seems, from our own hands. There is a book club up and about now that is printing e-book versions of everything that has come under censorship and I have subscribed to their feed. When I get an email from them, I will post a link here as they publish a few works about once a month. I happen to believe and predicted the discovery of rogue planets by modern day astronomers and published articles on rogue planets before anyone else commented on the subject. I know that it is possible that the solar system can be penetrated by such bodies and the risks associated with it. According to my own calculations, there are about 100 such bodies within one light year of the sun and planets and a few of them are large. These are no lightweight considerations. 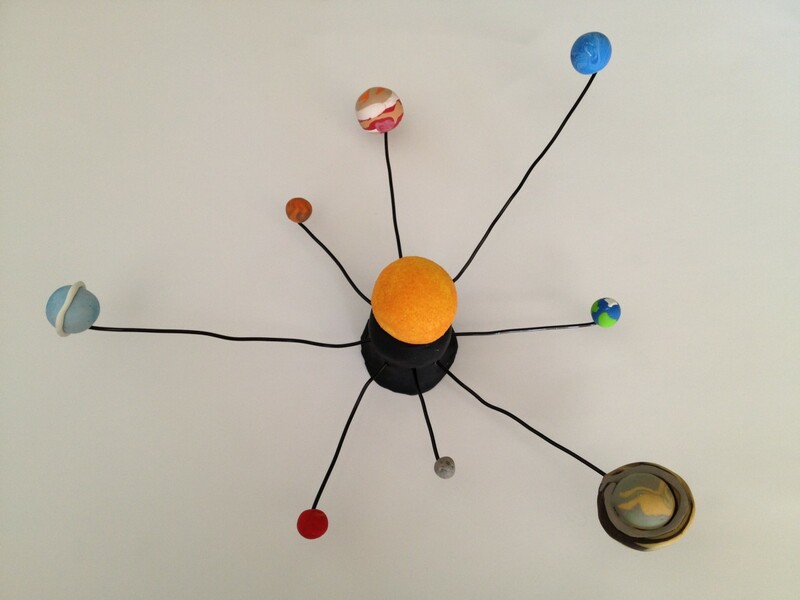 Our solar system is conditionally stable. Perhaps there was a close call in the not so distant past that would account for the world shaking legends found in all cultures. Velikovsky, whom I admire, was one such person and he was ridiculed by mainstream science as you have just ridiculed me with the moniker "grasshopper". Velikovsky would certainly accord with some of the tenants of the Nibiru hypothesis as he demonstrated that the earth suffered huge cataclysms in the past, including a physical pole shift. Charles Hapgood wrote the book on pole shifts that occur regularly that was supported by Einstein. Even Mars has gone through at least one pole shift as described by NASA. Let's not sling mud at each other in an egoistical bid to prove that one is right and all the others are wrong. None of us know everything about the cosmos and I readily admit that I'm still learning and open minded on a lot. I think the geological evidence speaks for itself. In the final analysis, just because someone says something is so, does not make it a fact, unless that is independently verifiable and can be subject to rigorous proof without being proven false. Recall that the powers that be want the populace ignorant, which is why we have that most ancient of psy-ops called organized religion. We are the cattle of the elite, made into subhumans by design and purpose, which they alone are privy too. As we have been commodified, we are exploited to the ends that they have in their own agenda, which is to save themselves on our collective backs. Almost all of us are expendable. I know of at least one source that suggests that Mars and the Moon have already been colonized by the elite. We are not invited! On the topic of the Bible, I'd like to ask; "Which one?" There are dozens and they all differ, some of them radically. Not one of them is the word of God, but the scratchings of fevered minds seeking to control the world by intimidation based on ignorance. Though there are good stories that can be backed up by independent research, such as the flood, there are also stories rife with contradiction. We have to go through this with a fine tooth comb to weed out the good from the errant dross. Then there is the question of free energy. When someone says there is no such thing, I then ask; "Well, then, what is the sun?" The sun radiates enormous amounts of energy for the taking, which is what drives photosynthesis and life as we know it. Without the sun, this and everything else we know and cherish would not exist, pure and simple. But the sun is not the only source of free energy as there is also radiant energy in which the entire cosmos is awash. There are hundreds of ways that this can be used, but because a few powerful elite want to lord it over all of us, this has been censored and those who pry into the cosmic secrets are hounded and derided as crazy, kooks or whatever and some executed for daring to liberate humanity with their finds. We are starting to break out of the box, but this is being fought tooth and nail every step of the way, because vested interests do not want to lose their cash cow. These then are a few things I know and I am not the ignoramus grasshopper that I am made out to be as a straw proxy. I have dealt with such accusations in the past and my sleeves are rolled up. Bring it on! I call them the Keepers of the Garden (Dolores Cannon), as they are the ones that regulate laws in this part of our Universe. Consider how valuable Earth is as a resource and you will then realize to what lengths they will go to save it from our own stupidity. They will not allow this planet to be destroyed through ignorance and greed. If you understand this premise you will then recognize that they have prevented The Powers That Be from starting any wars that involve nuclear weapons. They already have disabled all nuclear weapons on this planet, of course our Government isn't about to admit this to the public. Just like the 'Prime Directive' in Star Trek they can't very well disrupt our society and cause mass panic, so they have been slowly introducing society to their presence. When enough people wake up to the truth, they will reveal themselves. This is part of my purpose/incarnation on this planet to help wake the public up to the truth, by showing in layman's terms the deception and censorship that has been conditioned into the public's education and paradigm (world view). If you read the Lost Book of Enki by Zecharia Zitchin the history of the current race of man (we are the fifth on this planet) will be better understood. It is the resource material for the Bible and describes, the Adam & Eve story, Genesis, Noah's flood, Cain & Abel and a whole host of other stories. This history was written down thousands of years before Jesus even lived or the Bible was written but shows where all these stories originated from and even describes how our solar system came to be. Wow this is great. Something else that has just come out to the public is that there is another earth inside this earth...Hollow Earth. I have believed that all along and been told that that can't possibly be. What we are now seeing in public is because of the freedom of information act...and that people are just tired of all the secrecy going on in the government and NASA and them telling people they are some kind of liars when they really did and knew they did see something and it was real. Thank you for bringing all these proofs out into the open too. BTW there really is a Galactic Federation of Planets---not the one in the Star Trek movies. Go google that. It is so nice of you to explain to me what a mirage is, just think if you had explained this to me forty years ago I wouldn't have had to waste so much time researching this subject. NASA already found Nibiru Planet X in 1983 and announced it to the world (see Washington Post & NY Times front page articles) but Reagan made it part of the National Security mandate, making it illegal for astronomers, institutions and anybody else to talk about publicly. Depending on how the planets are aligned when it enters our solar system determines the amount of tectonic stress the Earth endures in its 3,657 year journey around our Sun. History shows us that Nibiru was the first planet in our solar system and all the other planets came afterwards (read ancient Sumerian texts). The Sumerians have indicated in their historical texts (clay tablets) that Nibiru has six Moons that orbit it, they showed the existence of Pluto thousands of years before our 'scientist/astronomers' located it while looking for Planet X in 1930. The United States has been looking for Planet X in earnest since the building of the Lowell Observatory (see observatory mandate) in 1894, well over a hundred years. Why would they be looking for something that they publicly admitted didn't exist? The Powers That Be on this planet have altered, censored and changed scientific theories and religious dogma and data to keep the public unaware of their true origins and prevent them recognizing the truth as means of enslaving the populace and it has worked for thousands of years. Your ignorance of the truth is a prime example of how this has worked for thousands of years. The Powers That Be 'know' the truth but have prevented mankind from learning it, heck in the early part of the 1800s America altered/censored Newton's Law of Gravity, so that the public would be unaware of exactly how it works. Knowing how the human mind works allows them to fit the data to the current world view of history and science. This allows them to keep feeding the public data and information to keep their limited paradigm in place. Start reading all the books that have been censored from the American public for the last . . . let's say 100 years, and you will realize why it was censored in the first place. You seem like an intelligent person but you have been sold a bill of goods that doesn't exist, just like the missing link, when you look for information that doesn't exist you're are doomed to never finding it . . . you must think outside the box grasshopper or you will continue to live inside it and never know an entire Universe awaits for you to explore on the other side. The earth's atmosphere can play some strange tricks. The most common are caused by temperature inversions that can cause mirages like water where there is none and ships appearing to float in mid air. 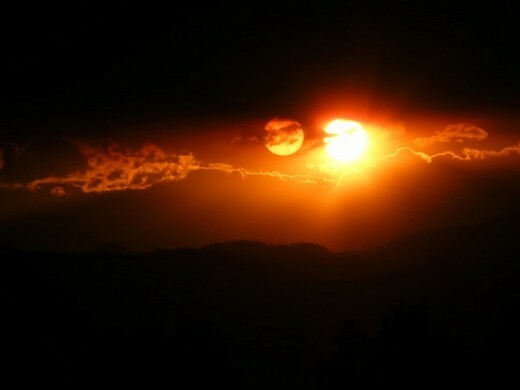 Other disturbances and conditions can create triple sun effects and peculiar sights concerning the moon. None of these are Nibiru as a close approach of a heavenly body of that size would create total havoc on the earth with earthquakes, volcanic eruptions and mega-tsunamis which no one would survive. The existence to two large bodies past Pluto seems to be more or less confirmed and a hunt is on to locate their exact positions at this time. One is thought to be about ten earth masses. There possible position is betrayed by the highly elliptical orbits of Pluto sized bodies. Two well established highly elliptical orbits indicate purterbations by two larger objects in different parts of the sky. I will get out the telescope and take a look and let you know what I find and will take a look at the miracle of the sun materiel, thanks for commenting Sparkster. Anyone interested in the mythology should also check out "the miracle of the sun" in Portugal, 1917 which I have previously written about and about the claims of father Malachi Martin regarding Nibiru/Hercolubus/Planet X. There also seems to be something up with the moon lately, it often looks as though there's another moon peeking out from behind it but with a bluish tint that seems reminiscent of looking at Earth from a distance - it sometimes looks like a reflection. I noticed it a few weeks back and I have never seen the moon like it before. I started looking closer when I heard an old age pensioner in the street react with surprise saying there was "two moons" tonight! Also significant is the Vatican's interest in this subject and its own hi tech observatories. Yes, I have realized that all I can do is provide the information, there is no point in proving anything, after all people will believe what they choose to believe. However once you understand these basic truths it becomes easier to research ideas such as the Ascension process and how that will happen to us. I believe that Nibiru and the Polar Shift is meant as a wake up call to the Ascension phenomenon, however if and when our Governments reveal this information to the masses remains to be seen. Thanks again for another intelligent and engaging comment, because you write so well perhaps you should join and write your own views, you got one reader already! Hmmm. Interesting how we've come to similar conclusions after having read Velikovsky and Setchin, etc. years ago. Having moved to an interior state from a coastal one, I've felt more secure, even if now there are other threats to consider due to climate change. Still, it was monumental for me to do this, having grown up on the sea. Daily I get the feeling I was drawn inland by a kind of inexorable force. Perhaps we seekers who eschew the increasingly disingenuous media and who hope there is a way for truth to survive are managing to come together, regardless of the seeming backwards trending going on lately. I'm happy to have surfed in to your hub, and thank you and your readers for going out on a limb for the common and uncommon good.as we say in astronomy circles, keep looking up! The rest that you mention I was indeed aware of. Yes, agreed but this news came out back in 2009, as Russia is way ahead of other countries in vibrational therapy for medical purposes. They have been using sound and light frequency research for decades pertaining to growing plants, medical therapy, communications, energy and transportation type research, so the salamander/frog embryo is kind of old news. Read The Source Field Investigations by David Wilcock to learn more. Scientists in Russia have already transformed a frog embryo into a salamander embryo. No cutting and splicing as their western counter parts do. They used vibration via high powered laser. I have a sneaking suspicion they didn't just stumble on to this all on their own, if you catch my drift. I advise not to judge Insane too quickly as he is very sharp and has a tendency to come off a little strong in the beginning but is a very enlightened person. Me and him have gone round and round on many subject and I respect his knowledge base immensely. We both shy away from mainstream scientist's theories and postulations, as they too are way behind those that have already awakened. When you have learned to think with your heart (soul) one will no longer require proof, as you will simply know the truth, as you have said. Right now those of us that are awakening are in information overload, as new insights are coming in from every direction. I'm constantly changing my paradigm because of everything I'm learning on a daily and hourly basis. so it is great to be able to share with folks like you theories, ideas and concepts without having to explain myself. Indeed I shall. I just saw Insane Clown Posse's insulting comments on the other hub, and responded. He had no clue I was speaaking of Illuminati's Luciferian beliefs. Those were not my beliefs, with the exception of the Law of Free Will. That I know is true. What he's missing is the fact that we don't incarnate w/our full awareness, so there was indeed stagnation in garden. This is stone cold truth. I know this because it poured out of me the night I expanded my awareness. And our DNA is indeed affected by vibration. Physicists and scientists are already beginning to realize this. It's a fact he'll soon have to choke on. If we had incarnated fully aware into the 3D construct, what would be the point? That's perfect write about your music projects as way to promote them and clarify your thinking on them. Take us through your mental process of developing them and the action necessary to get them going. Then you can upload a video or soundtrack to them or link to the videos if there are any. Write about what interests you, what brought you here, the comments developed by becoming involved on this site. You're a natural, I can tell by the way you write and the subject matter that you are teeming with information, share it with the world. Sure. I'm new to Hub's though, so will take a little time to get up to speed... this is a bit different than forum boards, so I guess I'm a newb. Plus I've got some music projects I need to get going on. One more thing, not all those base videos seem to have the guy narrating what's going on... the one by Ison I believe does. Joe, that means we can expect an article soon? Welcome to HP, where everyone can be an expert in their field. Thanks for the link . . . perhaps I can use it down the line. Alright, found it. It's on Youtube. I just typed "ufos attack military base". It was 2011. Tried watching it again but was having trouble watching it on my phone. A few more videos there too... no way it's fake... real deal in my humble opinion. I'm going to try to locate the video and will post back when I find it. I think I'v seen that but if you would be so kind as to post a link, here in the comment section so other viewers can see it, I would appreciate it, thanks. Yes. There is definitely a mass awakening happening right now. Watched an incredible video from 2012 of one of the Cabal's bases getting hammered by UFO's. Massive flares of light just lit up the whole base. Definitely not fake, as the man shooting it w/a home video cam can be both seen and heard talking excitedly throughout the video. This might be a first for me, four different comments all in agreement with the basic concept of the article, perhaps the masses are awakening. It is great to see others with so much information to share on the subject. Syzygyastro, you certainly have a lot of information on the subject, I suspect I could learn a lot from reading your articles, thanks for adding your input. Joe, again thanks for the link, I have seen it and am in complete agreement. I've come across some new information in which I'm inclined to believe. It states that all the souls on this planet at this time will be either ascended or removed before the Polar Shift occurs that will allow Mother Earth to reboot her systems. Thanks DSOTM for your input as well! Yup. Definitely another UFO or celestial body directly in the path of the mass eject. A host of other artifacts too that absolutely show the Greys and spacecrafts. Obviously these artifacts have been withheld for a long time. Why r they being released now? To startt conditioning the masses for the impending disclosure of our Galatic family... Gaia(earth) and we the people, are now members of The Galatic Federation. Many will laugh at this, but that laughter will quickly fade to chagrin... most likely this year or next...and certainly b4 the 2016 elections. This is also the reason for a lot of the shows such as "Ancient Aliens". The ones to ignore are the shows that attempt to show fear. The negative Aliens are of low vibration and are of no match for those who are conscious and higher vibratory frequencies. They are also vastly outnumbered and actually fear humans. Found it easy enough by googling "newly released Mayan artifacts". It depicts another planet as well, most likely Niribu, and another UFO off to the left of the UFO that is shielding the earth. Appears to be another object in the coronal ejection, but will have to examine a little closer to be sure... I just glanced at the pic briefly...pretty amazing to say the least. Check out, if you can find it, the Mayan artifact that was recently released by the Mexican government. It depicts the sun ejecting a massive flare and shows a UFO hovering over the earth and sheilding it from the coronal mass ejection with a cone of light. It'll blow your mind. It shows the coronal opening in the sun, and when compared with recent sat pics of the sun, it matches the triangular-like opening with uncanny accuracy! How in the hell did they know the shape of the coronal opening? The Galatics are ascended masters and our family. They are the ones who booted the greys and reptilians off the planet, and destroyed the underground bases. One point 4. an alternative is a crustal shift as described by Charles Hapgood and backed by Albert Einstein. But a crustal displacement needs some form of trigger and a rogue or apparently rogue planet can be just that trigger. The last great natural catastrophe was the explosion of super-volcano Santorini in the Aegean and this happened about 3,600 years ago. There is a triple confirmation in the story of the Exodus from Egypt, the Egyptian story of the Hyksos expulsion and the timing of the volcanic explosion that brought the mighty Egyptian dynasty to its knees. 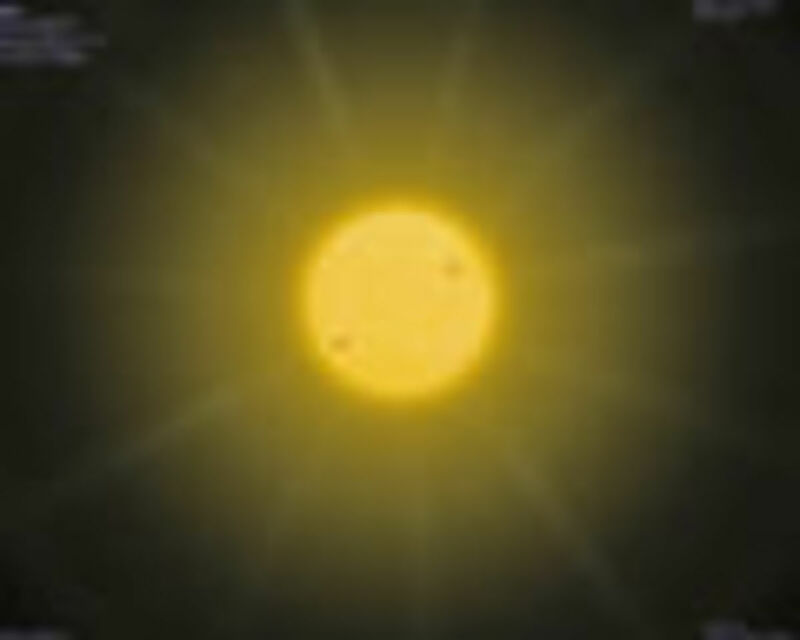 Nibiru's orbit is retrograde in contravention of all the other planets prograde orbits, this indicating that it is a recent capture by the sun. There are three TNOs at least with highly eccentric orbits, indicating that something massive has disturbed them. All of them are on different inclinations and orientations to the cosmos at large. This suggests the action of other Nibiru like bodies within one light year of the sun. We do not know about any of the rogues as they have not been observed in modern times, let alone their orbits; whether or not they penetrate into the inner solar system like Nibiru, a captured rogue. On point 6, a near pass by such a large planet to earth, should it happen, would trigger massive volcanic explosion world wide and set off mega-tsunamis. I'm not sure going underground would be safe, especially in the event of a crustal displacement. Everything underground would simply collapse under billions of tons of rock and anything down there would simply be crushed into petrified rock, especially it heated without oxygen. 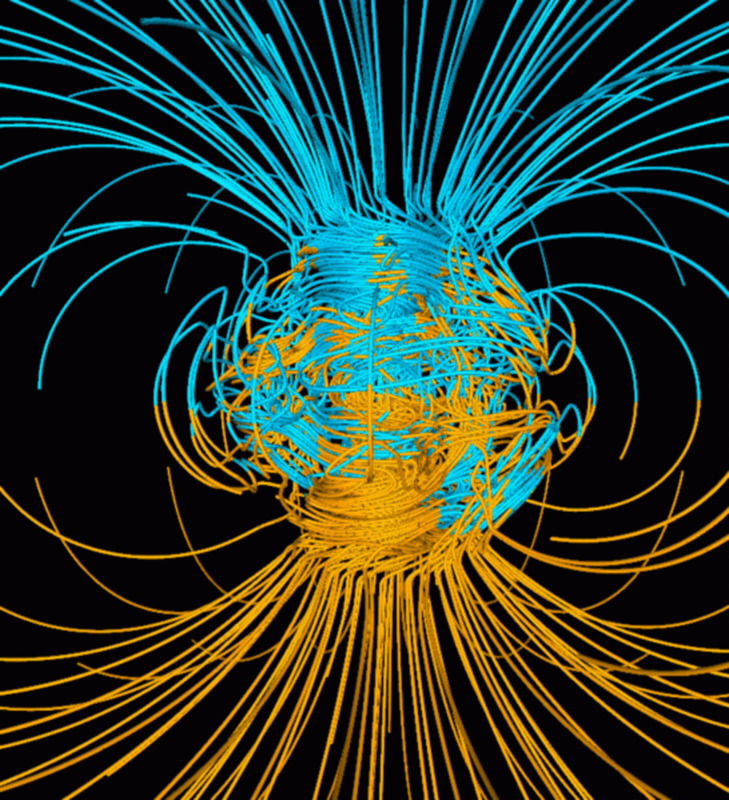 On points 7 and 8, the magnetic reversal indicates changes going on deep beneath our feet and accounts for much of the wildness in volcanic, earthquake, weather and other strange occurrences. Indeed, a magnetic decoupling could allow for a crustal displacement more readily than during a strong, normalized magnetic field. Given the vast imbalances on the surface, an outside force could literally cause the appearance of the earth tipping with the sun, moon and stars changing their rising and setting positions. This is an excellent thought provoking piece backed up by all the findings and major tenets of modern cosmology, which I have researched much and written upon including rogue planets and pole shift, aka crustal displacement. You are welcome, it isn't really a second sun it just looks like one when you are able to get a picture of it because of the glare our Sun. Interesting...scary, but interesting. 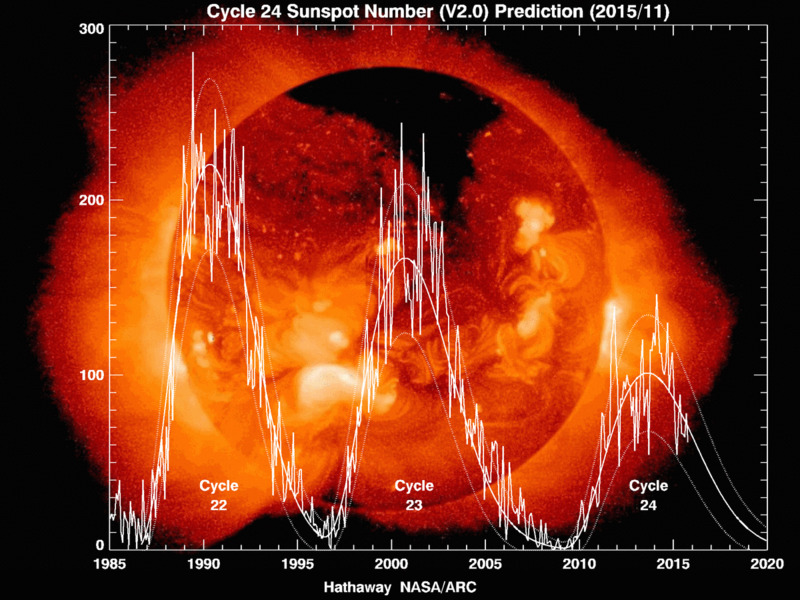 I have heard of Planet X theory and polar shift, but not second sun. You certainly are knowledgeable on the subject! Thanks for sharing!